Marvelous AQL's action game is hopping on the digital bandwagon. Following the trend of more third-party releases on the Nintendo eShop, Marvelous AQL's Senran Kagura Burst will be available digitally on January 10, 2013, as confirmed by Nintendo's Japanese 3DS website. The website lists the title at its retail price, which was roughly 6,000 yen. The size of the game is currently unconfirmed. Get three 3DS eShop classics for a reduced price! Nintendo will slash the price of three selected digital games on the Nintendo 3DS, the company announced on its website. The games in question are Denpa Ningen RPG 2, Rhythm Hunter: Harmo Knight, and 3D Classics: Kirby's Adventure. The sale will run from 10:00 JST on January 1 until 13:59 JST on January 6. Years after its WiiWare release, the 2D strategy title arrives on 3DS next Spring. Quirky real-time strategy game Swords & Soldiers 3D is coming to the Nintendo 3DS eShop some time in Spring 2013. Interesting things are afoot in the world of the Pocket Monsters! According to information released on Japanese television, we might see some exciting Pokémon news on January 8, 2013. This information was brought to the world by the folks over at Serebii.net. At the end of a trailer for Pokémon Black 2 and White 2, a teaser image confirmed a big announcement, though we aren't sure what will pop up. This could be anything related to already released products, to entirely new ones all together. Zen Pinball 2 won't be hitting the Wii U eShop until January, according to developer Zen Studios. Originally slated for a December release in both North America and Europe, the pinball game, which currently has two releases on the 3DS eShop, is getting pushed back slightly. Wash away 2012 with Fluidity: Spin Cycle, or just pass these remaining days with any number of today's Nintendo Downloads. Now with download play for up to two players! Super Mario Bros. 3 is coming to the Nintendo 3DS eShop in Japan next week on January 1. The title will retail for 500 yen. This iteration of the game will feature download play for up to two players. No specifics were given about what modes the download play will be utilized in, but it will likely be used in the Mario Bros. two player mode. Nintendo's classy man became even classier. 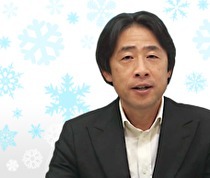 Nintendo of Europe's president, Satoru Shibata, sent out his warmest Christmas wishes to everyone and thanked fans for their support in 2012 in a letter posted this past Friday. The Pokémon typing teacher is coming in January for both Australia and New Zealand. Learn with Pokémon: Typing Adventure for the Nintendo DS will launch in Australia and New Zealand on January 10, 2013. Clear your path with the power of paint. 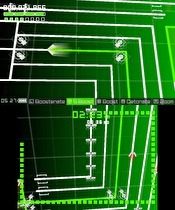 The next DSiWare title from Goodbye Galaxy Games has been announced, a colorful puzzle-platformer named Color Commando!. The game's creator, Hugo Smits, previously developed Flipper 1 and 2, and Ace Mathician for the DSiWare service. Color Commando! is scheduled to arrive in early 2013. So go on and set up your accounts! Nintendo TVii is live now in North America. The Wii U service, which combines information from multiple sources, including live TV listings and content from streaming services such as Hulu Plus and Amazon Instant Video, was revealed to be launching today earlier in the week. It will be expanded early next year to include Netflix streaming and integration with TiVo digital video recorders. But hurry! The sales all end in the first of January! Three Wii U eShop games, Little Inferno, Trine 2: Director's Cut, and Chasing Aurora, are currently on sale on the eShop until early January. Little Inferno, regularly $14.99, will be $9.99 until January 4; Trine 2, regularly $19.99, will be $15.99 until January 7, and Chasing Aurora, regularly $14.99, will be $7.49 until January 4. Can you escape a computer? Guide Wario to infinite wealth? You can in this week's Nintendo Downloads! Nintendo is gearing up for your holiday dollars with a healthy smattering of digital releases this week. On top of the New Super Mario Bros. 2 Coin Rush DLC we found out about, you can expect a digital release of Bit. Trip Saga, Mario Tennis Open, Pilotwings Resort, and Pokémon Rumble Blast. And don't forget Wario Land II for the 3DS Virtual Console! It's finally out in America! Another day, another dungeon to conquer. The newest installment of the Pokémon Mystery Dungeon series, Gates to Infinity, will be released in North America on March 24, 2013. This will be the series' first fully 3D game. Players take on the appearance and abilities of one of five Pokémon: Pikachu, Snivy, Oshawott, Tepig, or Axew. 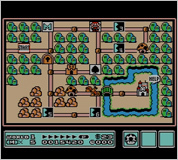 The game features 20 constantly changing dungeons that players can navigate and battle their way through. The hunt begins digitally next week in Japan. Monster Hunter 3 (tri) G HD Ver., known as Monster Hunter 3 Ultimate in the West, will see a digital release on December 27 in Japan. The digital version will be 500 yen cheaper than the packaged version, retailing for 4,300 yen including tax. Long lost Saturn RPG sees new life, and an American release on 3DS. 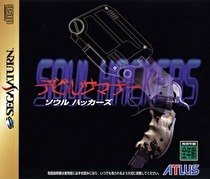 Shin Megami Tensei: Devil Summoner: Soul Hackers for the Nintendo 3DS is coming to North America in the Spring of 2013. A little bit of mystery mixed with the impossible. New Super Mario Bros. 2 is receiving its last two Coin Rush DLC packs soon. Mystery Adventures Pack and Impossible Pack have been revealed in a video by IGN. Both packs will be made available December 20, and will sell for $2.50 each. Talking about DQX version 1.2, higher level caps, new character classes, and half off the Wii U version of the game for Wii users. Another surprise Nintendo Direct featuring the Wii version of Dragon Quest X was released early this afternoon in Japan. Players will have to wait a few more months for the next title in the hit Capcom series. The release of Monster Hunter 4 for the Nintendo 3DS in Japan has been delayed. Capcom initially intended to release the title this March, but is pushing the game back to a summer release. Capcom feels that to meet the demands and expectations of the users, they need to increase the quality of the game. Nintendo's video content aggregator is about to make its debut. Nintendo TVii, the Wii U service that combines TV and video from different sources, launches in North America December 20.